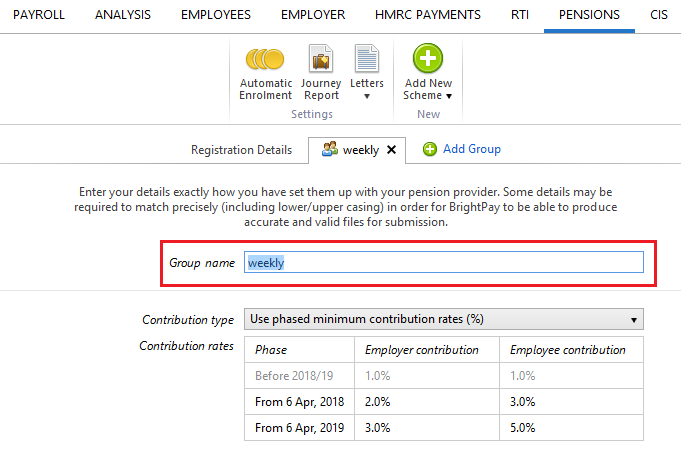 As soon as you have registered with a pension provider and have your pension scheme details, these can be entered in BrightPay ahead of your duties start date. Where we offer dedicated support for a pension provider, this means that BrightPay can produce the necessary pension submission files in the correct format for the pension provider in question. 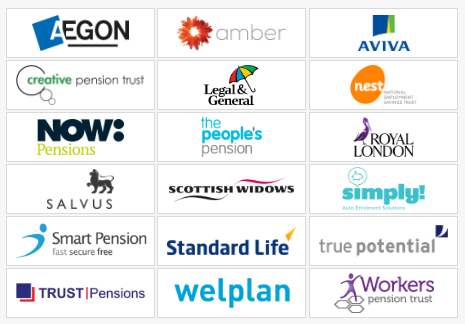 Where BrightPay does not offer dedicated support for a pension provider, we offer the ‘Other Automatic Enrolment Scheme’ option for you to set up your pension scheme. Please note, however, this option will not create the pension files for upload to your chosen provider. 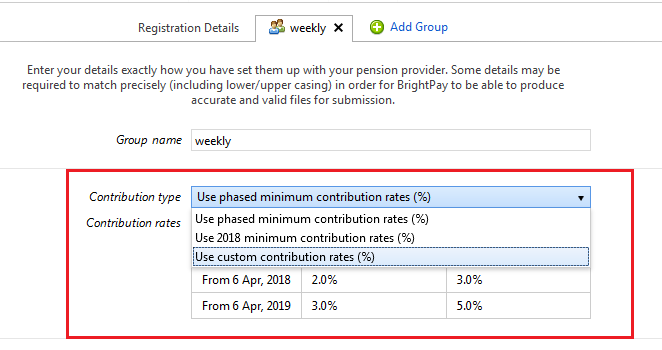 To enter your Pension Scheme in BrightPay, click Pensions > Add New Scheme > followed by the applicable pension scheme option from the listing. Please note: when entering your pension scheme details in BrightPay, care should be taken that they are entered to match exactly the details given to you by your chosen provider (including upper and lower casing). This is to ensure that enrolment files and contribution files will upload successfully for you. 1) Within Registration Details enter your employer account reference in the field provided. This will be provided by your pension provider. 2) On the next tab, enter the Name of your first group/category which you have set up with your pension provider. 5) If you have more than one group/category set up with your pension provider (e.g. 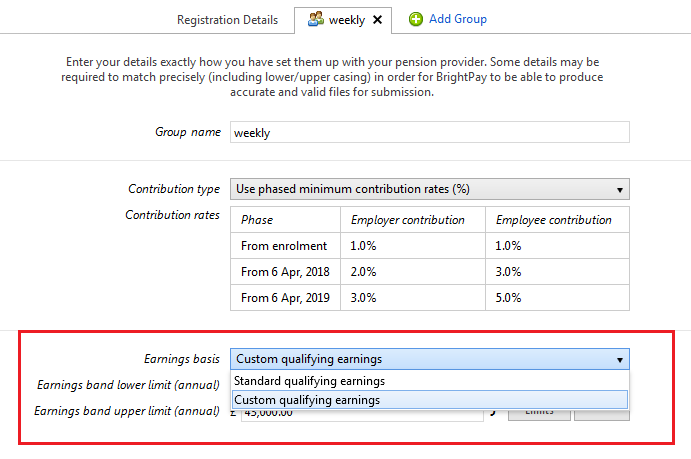 to cater for employees on a different pay frequency or employees with different contribution rates), click 'Add Group' (or equivalent) and repeat steps 2 - 4.